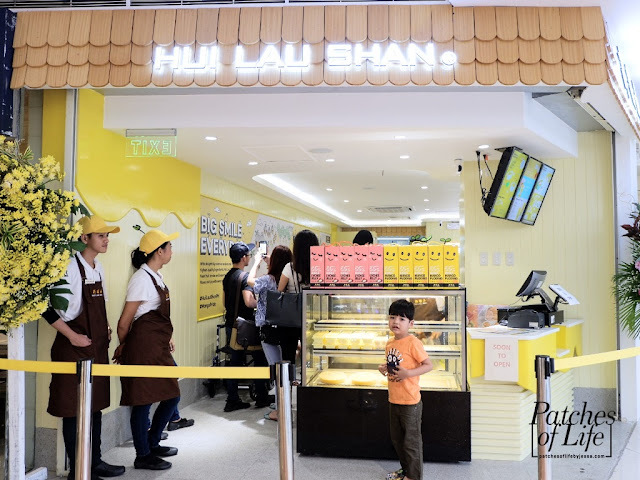 Home / Desserts / Drinks / Food / Hui Lau Shan / Mandaluyong City / Ortigas / SM Megamall / Hui Lau Shan: First Flagship Store in the Philippines Opens this March 2019 in SM Megamall! BIG SMILE to everyone!! Hui Lau Shan is back here in the Philippines! 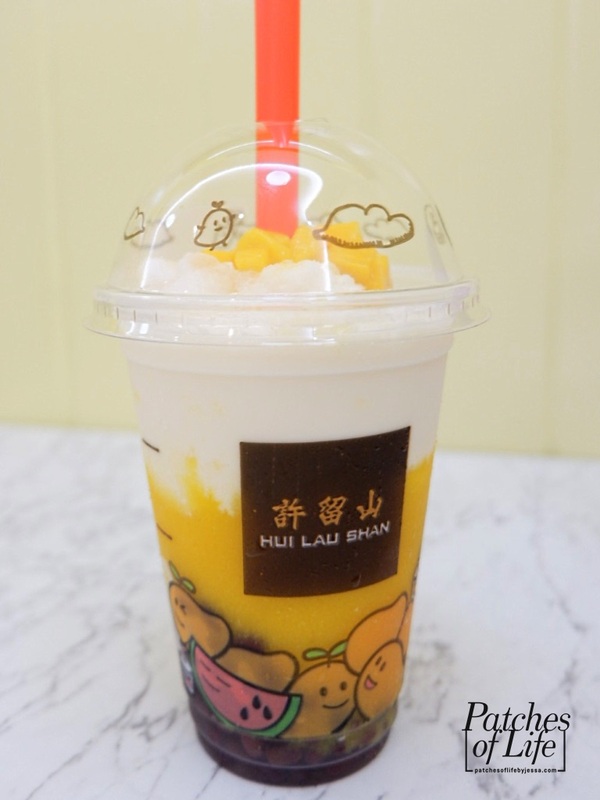 In case you're not familiar, Hui Lau Shan is a mango drink and dessert stall that started in Hong Kong. It has been famous in many Asian countries such as China, Malaysia, South Korea, Taiwan, Vietnam, and Macau, as well as other countries/cities in other parts of the world like Canada, Melbourne, and Paris. And the secret to their great tasting mango creations -- our very own premium carabao mangoes! MANGO PRIDE! With its great homecoming comes special treat to its excited customers. The first flagship store in the Philippines located at the 4/L SM Megamall Atrium opened last March 17, 2019 (soft opening) but will be on Grand Opening this March 23, 2019. If that's not enough, note that the FIRST 200 customers can try Hui Lau Shan's Mango Mania Series for only Php50! what to have for takeout? 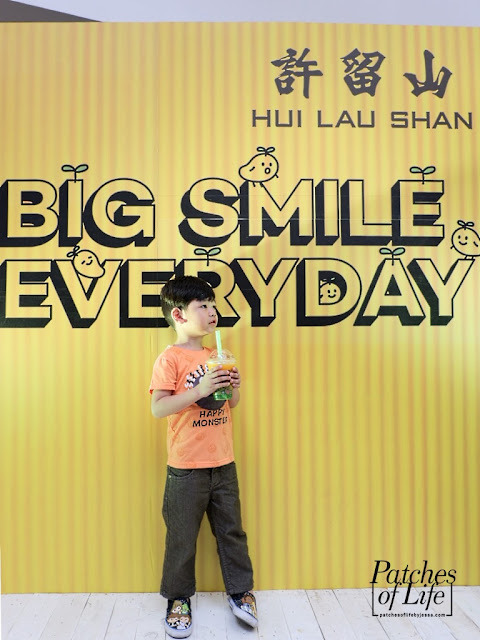 If lining up is not your thing, you can still enjoy Hui Lau Shan any time during mall hours. Below are some of the mango goodies, and a lot more in their menu. the delight! BIG SMILE indeed!! My son and I got to try some of their drinks and desserts, and here are our thoughts. 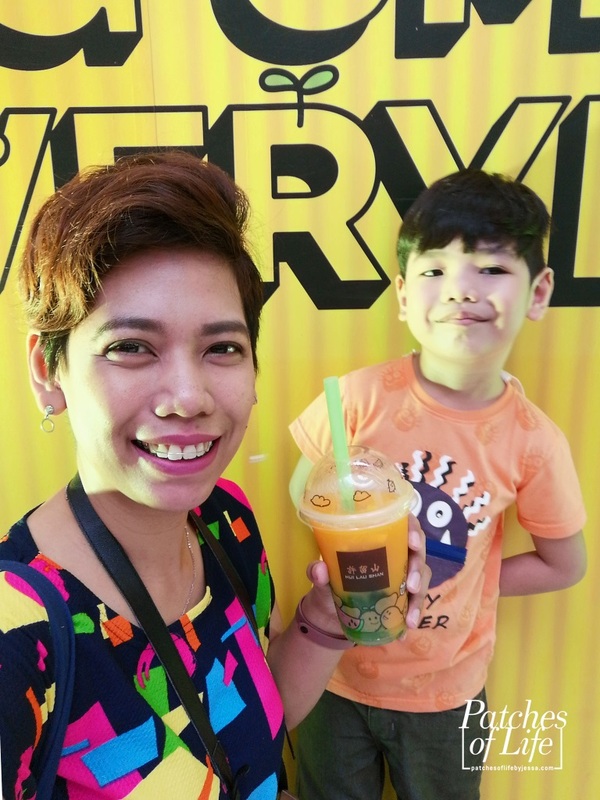 For the non-experimental/not-so-adventurous type who just want to indulge in pure mango goodness, Mango & Mango Jelly in Mango Juice is what I recommend. 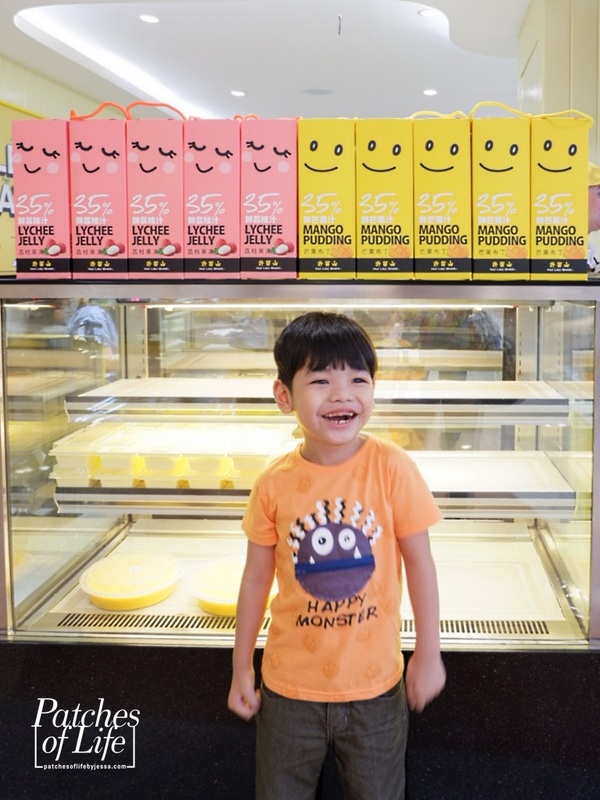 You get to taste the fresh sweet mango and chew on the chunks of mango cubes and jellies. 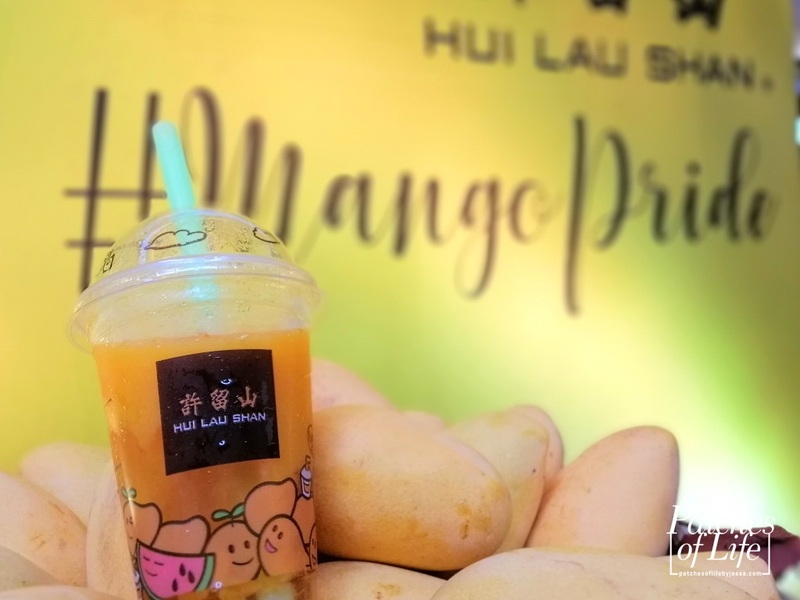 Mango & Coconut Juice with Red Bean is a combination that might need some getting used to -- or at least that was the case for me. 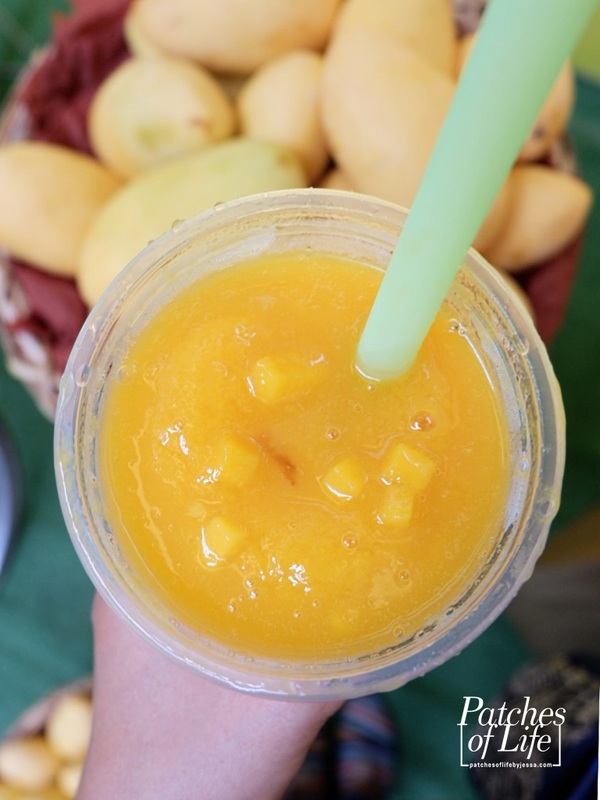 The addition of coconut juice gives a different dimension taming the sweet-sour taste of mango. The red beans make this drink heavy and filling. Fluffy and bouncy. 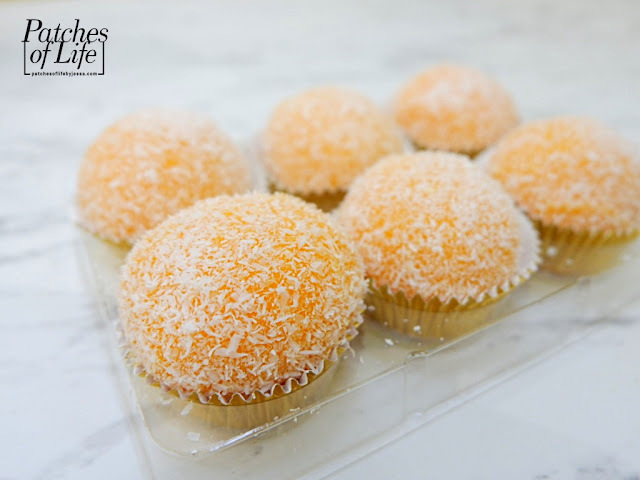 Mango all over with a chewy chunk at the center and dusted with coconut shreds on the outer. 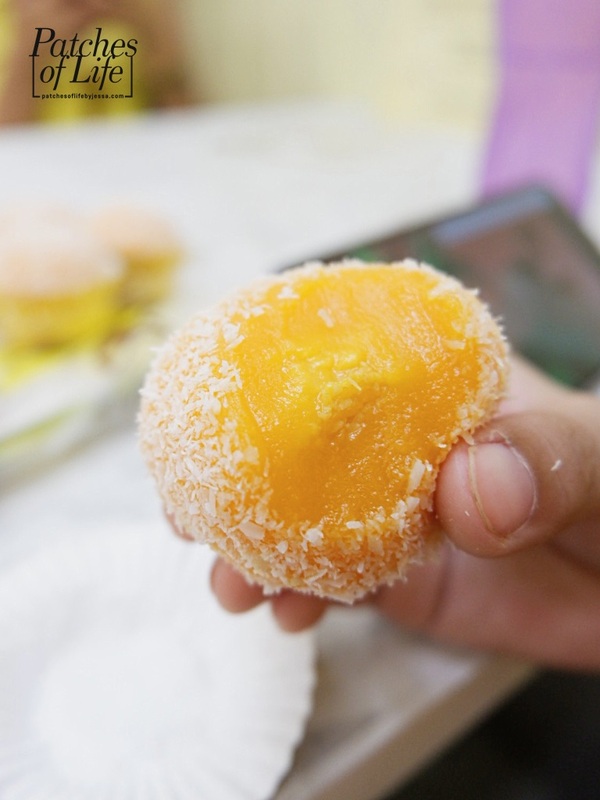 Mango Mochi is not overly sweet and a nice quick bite on-the-go. 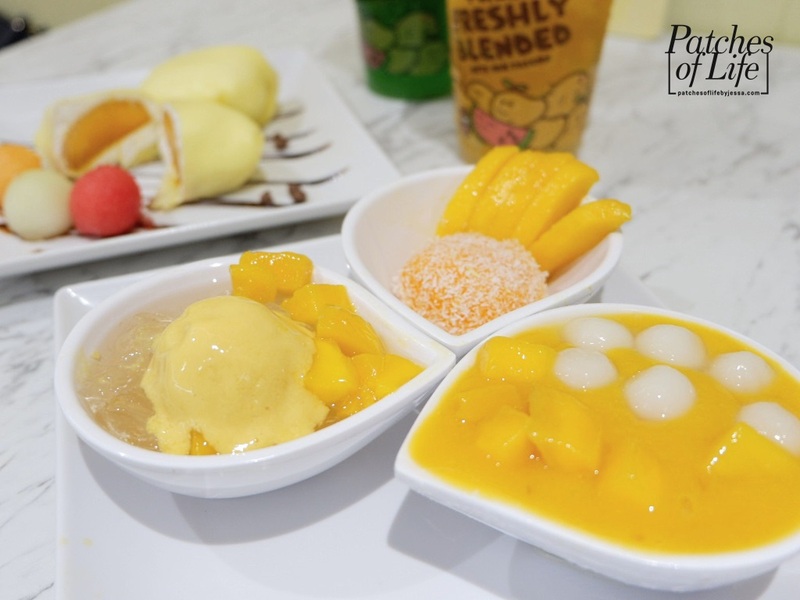 Mango Romance is the dessert platter you need when it's your first time and can't decide what to eat, OR you just want to have them all! You get Mango Mochi, Mango Chewy Ball, and Mango Crystal Jelly all in one treat. Among the desserts, this is where I really fell in love -- Mango Pancake. 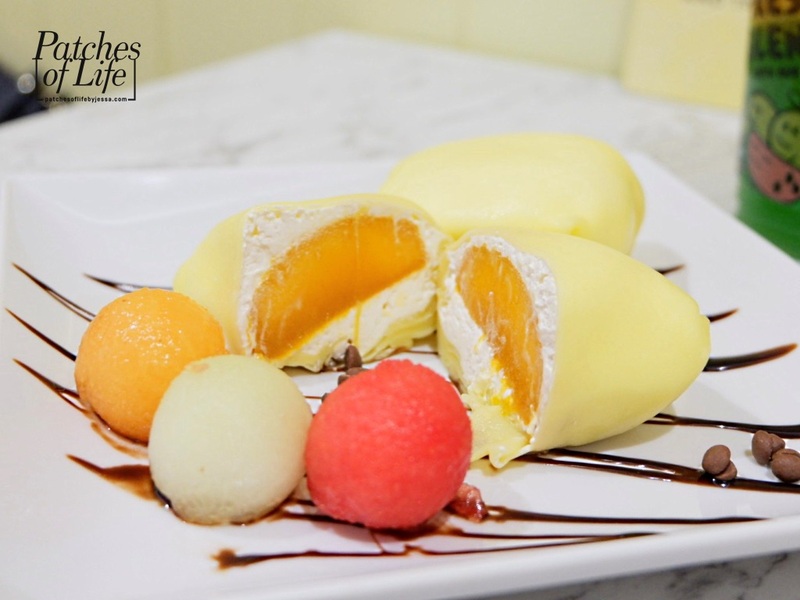 You get a solid mango filling surround by cream, and wrapped around by crepe-like cover. 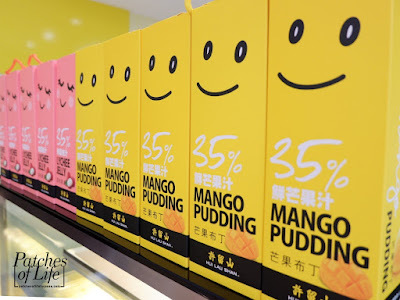 I find it different from the usual mango desserts. The closest I can compare it with is a mango crepe, but this is less flimsy and more compact even in mango flavor. What a strategic location to have Hui Lau Shan's flagship store in SM Megamall. 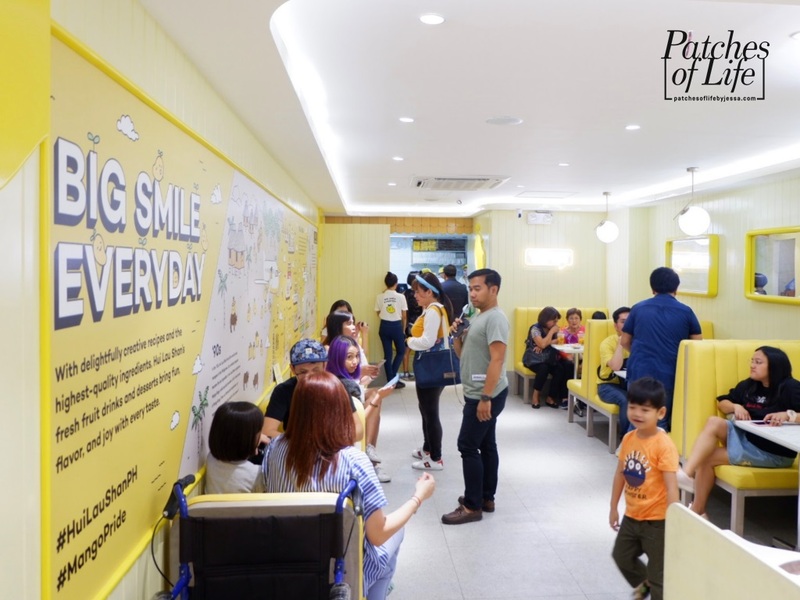 But if this is still not that convenient for you, don't worry as new stores will open in UP Town Center, Eastwood, SM Fairview, SM North, Promenade Mall, and SM Mall of Asia all in 2019. 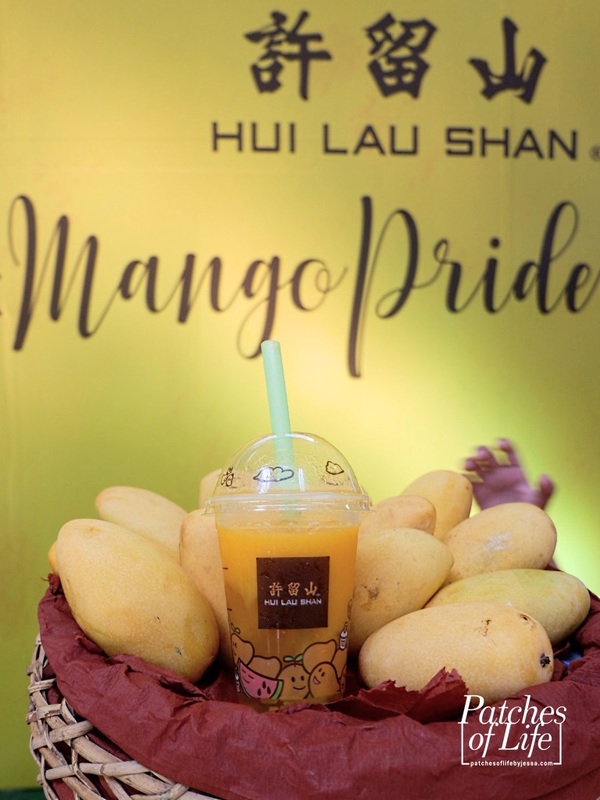 More reasons to have that BIG SMILE EVERYDAY and enjoy our MANGO PRIDE! Disclaimer: I was invited as a blogger to feature this stall. Photos with my watermark are mine and shouldn't be used without my permission.